Odunsi Bowo popularly known as Odunsi The Engine, is a budding recording artiste, songwriter and producer. He was signed to an international music company, Universal Music, alongside two other youngsters, Tar Iwar and Lady Donli. 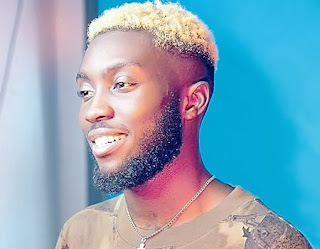 His genre of music is mixed by what influences him but main Afro-fusion, he said to have gotten his stage name Odunsi The Engine back in school days by his friends because he works around the clock which he has also projected the same into his music has he is ready to release his album titled ‘Rare‘. Odunsi who released his last single ‘Divine‘ featuring DMW boss Davido, announced that his album ‘Rare’ is ready for release on the 12th of October, 2018. Yesterday 8th of October, the alternative singer released the official track-list for his upcoming album and he thanked the amazing musicians that has collaborated with him and those that also contributed to the success of the album ‘Rare’. Odunsi’s Rare album houses 12 complete tracks with a bonus track ‘Alter Cruise’ and features from “Hamzat”, “Davido”, “Duendita”, “Santi”, “Nasty C”, “Runtown”, “Tay Iwar”, “234Jaydaa”, “Ammarae” & “Solis”.